Hooray! It’s one of my favourite days of the year – Star Wars Day! 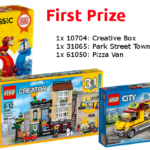 There’s a fair bit happening today, especially over on the LEGO Shop at Home site. There’s a couple of deals – get in quick before they stop! 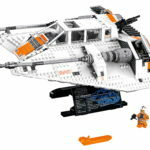 First, there’s 10% off a big list of LEGO Star Wars sets. There’s heaps to choose from, so go nuts! Check the site for the full list of discounted sets. Spend over $120 on LEGO Star Wars sets, and you’ll receive a free exclusive R2-D2. He looks excellent – make sure you don’t miss out on this one. 75182: Y-Wing Starfighter. I’ve always loved this ship. It looks great in LEGO form. The incredibly poseable 75120: K-2SO (AUD $35.99). I’ve ordered him already, so a review will be coming in a few weeks! The recently tweaked 75159: Death Star. It’s a whopping $80 off at the moment. You can grab a copy for AUD $719.99. 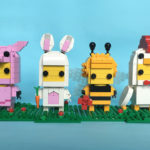 Lastly, LEGO released this cute little animation on Facebook. I think it’s very clever! That’s it! Happy Star Wars Day everyone. How are you celebrating? Let me know below! Also, the LEGO Re-Theme Challenge ends tomorrow at midnight AWST. Have you got your entry in yet?